Do you have a special thank you/encouraging message you have always wanted to say to a Professor / Staff / fellow Geog Majors? Here's a perfect chance to do so! Simply leave a shoutout on the Vday Board we will be putting up! You can sign off anonymously if you are too shy The board will be up by 12pm Monday, 10 February 2014. 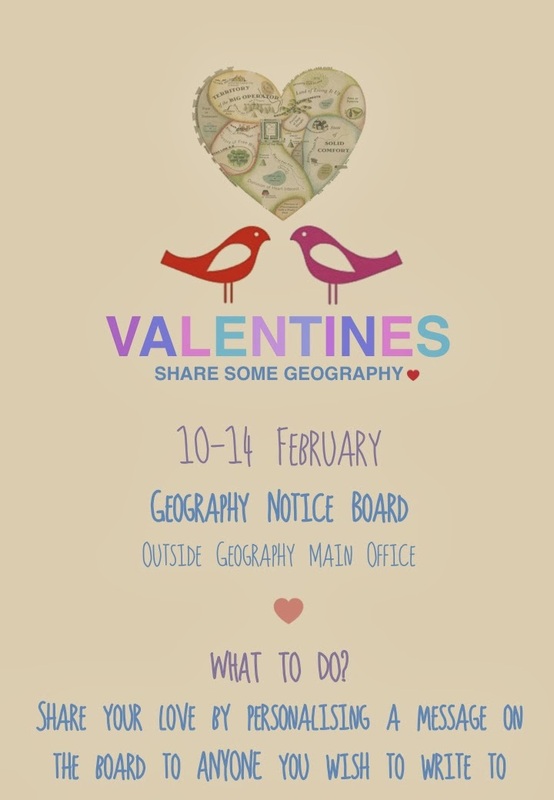 It will be located outside the main department office, at the NUS Geographical Society noticeboard. *Please do not abuse the board. Any discriminatory messages will be removed. Wishing everyone a Happy Valentine's Day in advance! All the best for your upcoming midterms and assignments!